Living Area 4200 Sq. ft. Pride of Ownership is clearly reflected in this immaculate 6 bedroom & 4 bath Tuscan-style home. 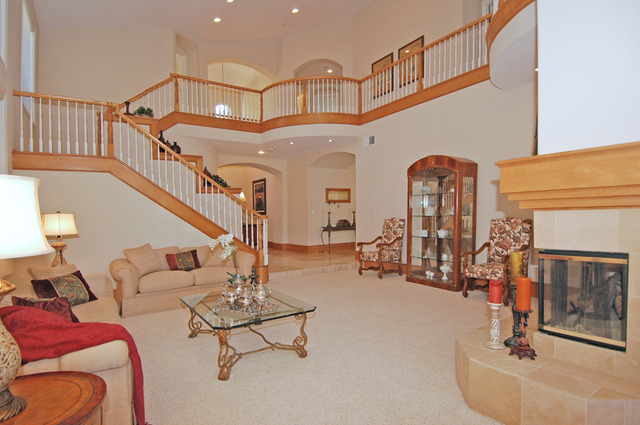 The incredibly spacious two-story floor-plan of approx. 4200 sq. ft. features a Family Room that boasts a full size Wet Bar with wine refrigerator and restaurant-style soda fountain, a Formal Living Room with fireplace has vaulted ceilings, a Chef’s Dream Kitchen with top of the line appliances, and the beautifully landscaped private rear yard features a heated outdoor Lanai . Other amenities include travertine tile, Maple hardwood floors, custom window treatments, and designer sconces…just to name a few.